Mae Malveaux, an attorney with Minneapolis Child Protective Services, is burnt-out, tired and frustrated. Passing on an invite from Jill, her flirtatious coworker, Mae just wants a quiet night in. Leaving the office late, she’s surprised to find the Heritage Line streetcars up and running and hops aboard, eager for a quick trip home. But this is no ordinary streetcar. Death is one of its riders, and Mae is thrust into Annwn, a realm of magic and danger. Last Car to Annwn Station was named a Top Book for 2011 by Readings in Lesbian & Bisexual Women’s Fiction and is available in ebook format at Carina Press, Barnes & Noble, Amazon, and in audio format at Audible. 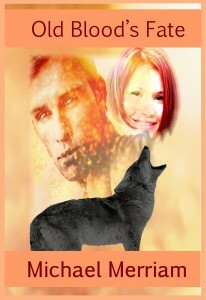 When Jack Clausen shows mercy to a dying coyote, a powerful spirit approves from the shadows. The Great Coyote is about to change Jack forever, for the time has come to awake the Dreamer even as the Spirit Council watches, some with plans to betray Jack. Unbeknownst to Jack, he must rejoin with that part of himself that walks as the Nightmare, though the Nightmare is protected by an ancient witch who has her own plans for Jack, his friends, and his allies, and even the Great Coyote can hope to control the outcome. Richard Martz is a bitter ex-mage cursed as punishment for the destruction of his previous magical coven. Richard is reluctantly drawn back into the world of magic and intrigue when he is approached by Holly Ellefson, daughter of a human mage. Holly is also part-fey, a bloodline taboo by both custom and treaty. Agreeing to protect Holly, Richard pits his erratic, broken magic against the Twin Cities Magical Council. As Holly gains control over her fey abilities and the magical powers inherited from her mother, she discovers her family’s deep secrets: secrets the Magical Council would rather stay buried. Caught between multiple enemies, Richard and Holly race to unravel the mystery of Holly’s heritage while healing the wounds of Richard’s tragic past, even as the forces arrayed against them tighten their grip, threatening death—or worse—should Richard or Holly fall into their hands. 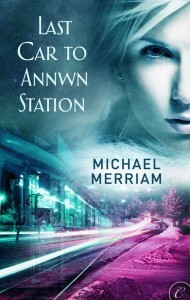 and at Smashwords in various ebook formats. A Hot Cup at the Last Station is a tale of lost love, ghost trains, and finding your way back to living, set in an old train depot turned coffee shop in a Minneapolis suburb. It appeared in Bards and Sages Quarterly Volume 2, Issue #3. And The River Shall Be Your Bed is a ghost story of love, forgiveness, and redemption set in Minneapolis. When the ghost of Christine Larson reaches out across the veil to her friends Mandy and Chad, what will be the price of forgiveness, and will Mandy and Chad be willing to pay? This story appeared at Tower of Light Fantasy. By Moonlight, an urban fantasy tale set in Minneapolis, follows Selma, a blind, middle aged magician as she tries to protect a new friend and potential lover from her half-fae brother. It was published in Aoife’s Kiss #33 in 2010. Darkly Through The Light Waters was published in the September 2005 issue of Sorcery & Science and reprinted in the anthology You Don’t Know What You’ve Got… in March 2009 from Gryphonwood Press. Set in the intersection between Minneapolis and the faerie realm, this short story tells of a fey champion’s love, honor, and fall from grace. Fast Gliding Down the Rails is a short horror story set on the defunct Minnesota Zephyr dinner train. When the aging tourist train decides to avoid being decommissioned by slipping through time and traveling forever, how will the passengers on the cursed train survive? Appeared in Longshot Island’s December 2017 SF issue and in the second issue of The Unfit. The Foundling is the cheerful little tale of the ghost of a murdered child, the spirit of a shopping mall made manifest, a talking parking lot totem, and making the family of one’s choice. An urban fantasy set in Minneapolis, this short story was available online in the Spring/Summer 2006 issue of Chaos Theory: Tales Askew. Frozen Moment appeared in the anthology Deadly Encounters. When Audrey finds the dead body of teenage runaway and unthinkingly snaps a photograph with her smart phone, she sets herself on a path a haunting and revenge. Jenny’s Magic appeared in print in the July 2006 issue of Beyond Centauri and online at Hazard Cat in October of 2010. This children’s short story tells of a very practical nine-year-old girl who must reclaim her magic from the cat who stole it from her. This story was nominated for the 2007 James B. Baker Award in short fiction. Over the Bridge, an urban fantasy set in Minneapolis and St. Paul, is the happy tale of a snarky Goth-girl, a snarly Unseelie, a dead body, and the Mississippi River. It appeared online at The Harrow in July 2007. Protect and Serve tells the story of Constable George Wellner, who protects the citizens of Morningside, Minnesota, whether they are space aliens, vampires, or other fantastic creatures. This piece appeared online in June 2007 in Bewildering Tales. Rainfall set in the intersection between Minneapolis and the faerie realm, was published online in the February 2006 issue of Deep Magic. Described by Tangent Short Fiction as “a breathtakingly beautiful story of a love that transcends time and space, a pure, self-sacrificing love,” this tales follows the lives of the all-too-human Robert and Zoe, an exile from the Summer Lands, as they encounter each other through the years. Starry Night tells of James Monroe, a man stripped of his special ability to speak mind-to-mind with others who shared this rare power. When the voice of a dying boy speaks into his mind, James must overcome his own grief to help the boy understand what is happening to him. This story appears in the Summer 2010 issue of Golden Visions Magazine. Weaving Threads was published online in Drops of Crimson in June 2009. This urban fantasy story tell the tale of a young Minneapolis girl who feels trapped in the desperate life she leads and the storytelling spider who helps her see her way to freedom.